Dr. Tuba is a kite repair specialist with over 10 years experience in building and repairing kiteboarding products. This experience started off by designing custom kites which eventually moved on to professionally fixing bladders and kite tears in early 2009 when the company first opened the doors to the world. 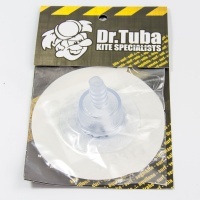 Dr.Tuba also specialise in selling kite repair products such as dacron repair tape, ripstop nylon repair tape, kite patches, replacement bladder and bladder repair kits as well as kite board repair kits and line replacements. For all you kite repair needs, Dr.Tuba is here to help! 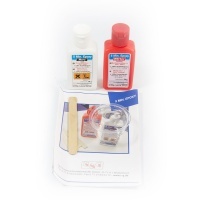 Suitable for all your surfboard/ kite board repairs, the 5 Minute Epoxy resin can be used to stick wood, stone and most plastics as well as being used with fiber glass matting and other fillers. Dr. Tuba's Dacron Repair tape is ideal for fixing dacron fabric areas of your kite or for reinforcing struts and leading edges! 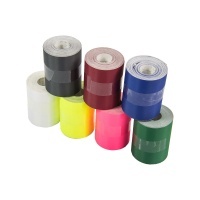 3m long x 50mm wide self adhesive tape. 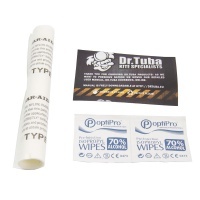 The Dr Tuba Fibre Fix and Reapir Kit has been put together to repair rips and tears along the canopy or leading edge of your kitesurfing kite. A thermoplastic heat sensitive sheet to fix large holes and blow outs on kitesurfing leading edge and strut bladders. You dont have to be an expert to fix your own kite! 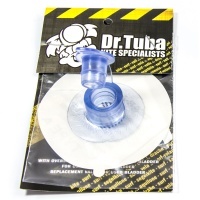 Dr Tuba's replacement Max Flow inflation/ deflation Valve for Liquid Force Kiteboarding Kites. Dr Tuba's Liquid Force one pump valve replacement used to connect leading edge to the struts of Liquid Force Kitesurfing kites. A Nylon Ripstop Adhesive Tape by Dr. Tuba is suitable for fixing smaller tears and cuts on a kites canopy of up to 30cm without sewing. 1.45m long x 50mm wide adhesive tape. Ozone one pump valve replacement used to connect leading edge to the struts of Ozone Kitesurfing kites. 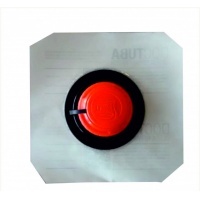 A standard 9mm adhesive inflate valve used by most kite brands. Repair the inflate valve on you kite without having to replace the whole bladder. 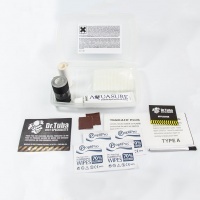 The ultimate in self kite repair kits, the Dr. Tuba Complete Repair Kit comes with everything you need to repair your kite including the bladder, struts/ leading edge and canopy! These are super useful dots of Tear Aid Type A that are perfect to fix pinholes in the canopy or bladders on the beach. Perfect cut out circles with wipes and sandpaper included. Don't get caught out wherever you are! 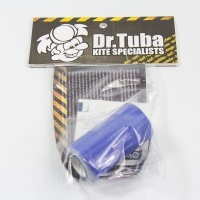 The Dr.Tuba Mini Repair Kite comes compact and prepared for many problems your kitesurf kite might throw at you! Replacement twist valve for Ozone kites. 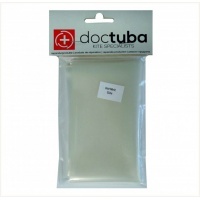 Dr. Tuba's easy to fix solution for tears in your sail is a high quality, transparent and self adhesive sail repair tape suitable for almost any sail! 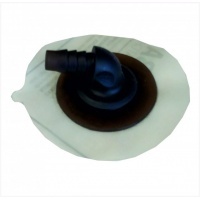 Replacement dump (deflate) valve for kite bladders. 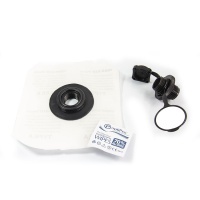 Self adhesive kite repair valve to replace your leaking deflate valve on your kite bladder. Replacement Slingshot/ Ozone one pump system valve. 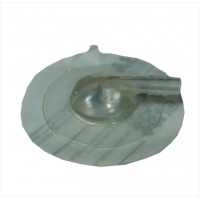 Looking to repair your kite valves at minimum cost? Look no further! 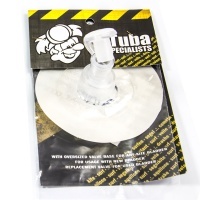 Dr. Tuba's Bladder and Valve Repair Kit has everything you need to repair punctures and valves!